Competitively priced and great for watching videos and listening to music. This model offers a full HD 1080p screen for excellent display quality. The Chrome operating software (OS) is a comprehensive platform for performing tasks well. Get connected with your relatives on the built-in HD webcam and microphones. Experience the fast boot up process with its Intel Celeron processor. At 2.95 pounds, you can easily carry this unit in your backpack without much burden. It is super lightweight and you will barely know that it’s there in your bag. This enhances the unit’s portability as you can bring this anywhere with so much ease. The sleek design of this product comes with its slim design and silver finish. This unit ensures an average battery life of 9 hours. This is more than enough to support your daily work routines. You can go without the power plug for a long period of time with this unit. If you are always on the go, then this unit comes in handy for you. The Skullcandy speakers built in this unit produce a rich and natural sound quality. This enhances the quality of your music files when you stream them. Watching movies will be enhanced too with the realistic sound produced by this unit. On the other hand, this unit also produces a great display quality. With its 1080p resolution, you can’t help but be amazed with the brilliant video quality displayed by its 13.3” screen. The best feature that this unit can offer is its price which is quite competitive. With a price below $300, you can easily afford this product without feeling guilty for spending too much. 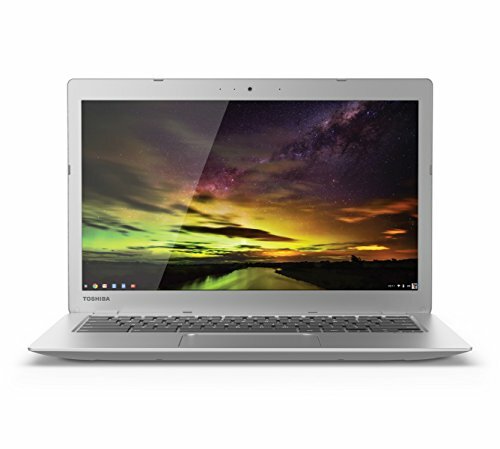 This is quite a bargain if you compare it to other Chromebook brands in the market right now. Some customers reported that they experienced display issues within a matter of a few months use. This could happen due to physical damage or overuse. If you want to extend the quality of the screen, be sure to protect it at all times against shock, vibrations, and impacts. A slight impact could ruin the internal components of the screen display. Therefore, you need to be gentle when using it. A few customers noted that this unit may lag if you open more than 6 tabs. This is a great hassle if you are in a middle of writing a paper for school or work. If you want a faster processor, you can opt for a more expensive model like the Toshiba Satellite L755D-S5162 or the CB35-C3300 Chromebook which has double the speed. When you watch the display off-center, there is a slight shift in color which is not desirable as described by a few customers. By this account, you can be aware that you need to watch videos at the center of the display screen. If you want to experience bright and vivid images, don’t watch it away from the center. This laptop is a great unit with its 1080p display screen. Together with the superb sound quality generated by the Skullcandy speakers, you can enjoy watching movies and listening to music to the highest level. However, this offers a fragile screen quality which may demand some gentle care from you. Nonetheless, this is still a competitive model given its affordable price that no other brand can’t offer. In comparison with Toshiba’s other Chromebook model, the CB35-C3300, the CB35-B3340 lacks the LED-Backlit keyboard that the other model offers. 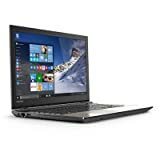 Though both models have the same processor, memory, and SSD drive capacities, the CB35-B3340 is priced lower than the other model. The CB35-B3340 also has a longer battery life. On the other hand, the CB35-B3340 has a slower processor as compared to the Satellite L755D-S5363. However, the CB35-B3340 offers a USB 3.0 port which the other model fails to provide. The CB35-B3340 also offers a full 1080p resolution while Satellite only offers a 768p resolution. In terms of screen size, the Satellite model has a larger screen as compared to the CB35-B3340. This could be because the CB35-B3340 is meant to be a Chromebook while the Satellite model is meant for standard purposes.